In the City of Aventura, fine upstanding people can get hurt or even killed through no fault of their own. Sometimes it is an intentional act or a negligent act. Usually it is as basic as someone breaking a simple safety rule that results in a victim getting seriously injured or murdered. If you lost a loved one or were hurt due to the acts of a person or company, then you can contact the Aventura Injury Accident Lawyers at the Wolfson Law Firm. We are standing by to talk with you right now at (305) 285-1115. All of our consultations are free and confidential. We handle all types of injury and wrongful death cases on a contingency basis which means you never owe us a fee unless we make a financial recovery for you. The Aventura accident attorneys and personal injury lawyers at the Wolfson Law Firm have served the people of the City of Aventura and Miami-Dade County for all types of personal injury since 1963. We are available to help you and your family too. The land area of Aventura is over 3.1 square miles. It is located in northeast Miami-Dade County. Aventura is twelve miles south of Fort Lauderdale and twelve miles north of the City of Miami. It is also approximately one mile from the Atlantic Ocean. 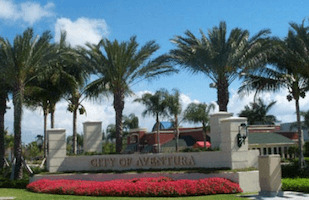 The Aventura form of government is based on the city manager/commissioners model. The city annual budget exceeds 48 million dollars. As of 2010, the population of Aventura exceeded 37,000. Aventura zip codes are 33180 and 33160. The estimated total real estate valuation exceeds 7 billion dollars. The Aventura Police Department has 82 officers and 38 civilian employees. The number of estimated businesses exceeds 2700. The demographics of Aventura are 2% Black; 2% Other; 21% Hispanic; and 75% White. At the Wolfson Law Firm, our Aventura injury attorneys and accident lawyers stand ready to help you and your family in the event of a serious injury or a wrongful death. But you have to take the first step and call us at (305) 285-1115. Don’t be the silent victim. Protect yourself and your family. Get the help you need and get it right away. If you have lost a loved one, the Aventura wrongful death lawyers at the Wolfson Law Firm can assist you and your family. Our Aventura accident attorneys can represent you and your family if you were seriously hurt and damaged because of the wrongful acts of another person or corporation. We have a bilingual personal injury legal team in Miami. 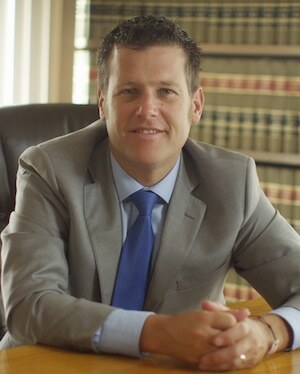 Our Managing Attorney Jonah Wolfson is a bilingual wrongful death lawyer and personal injury attorney serving in Aventura and in Miami. Just call us at (305) 285-1115 for your free consultation. Our Miami personal injury lawyers are here to help the residents of Aventura, Sunny Isles, Edgewater, Opa Locka, Ives Dairy Estates, Ojus, Naranja, Liberty City, Hialeah, Miami Shores, Hialeah Gardens, Surfside, Doral, North Dade, Golden Glades, North Miami Beach, Hallandale Beach, Miramar, and Hollywood.